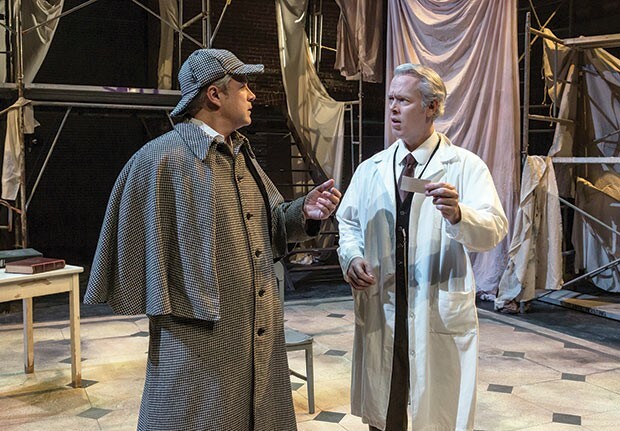 “It’s more fun not to know anything before the curtain goes up,” reads a note by playwright Jeffrey Hatcher in the program for Holmes and Watson, staged at the New Hazlett Theater through March 4. On the one hand, he’s right. The twists of this Sherlock Holmes mystery deserve an unspoiled audience in order for the big reveals to land. On the other, this is a Sherlock Holmes story. The twists are good, but the real fun is in the detective work that leads to them. With Hatcher’s warning in mind, let’s start with the basics of the plot. Sherlock Holmes is purported to have died earlier. Three years later, his compatriot Dr. Watson receives notice that a remote psychiatric institution on an island off Scotland has three patients claiming to be Sherlock Holmes. It’s up to Watson to visit the hospital and identify the true detective. This is a Sherlock Holmes story, so witty back-and-forths dominate most of the dialogue. The three Holmeses each have their moment to shine in this regard, but the most enjoyable and most dominant conversation occurs between Watson and the mental institution’s Dr. Evans (a charmingly stuffy Tim McGeever), who’s there to shepherd Watson in his investigation. There’s also a timid matron and a heavily accented orderly, but that’s it as far as the ensemble goes. The production, too, is pretty minimal. 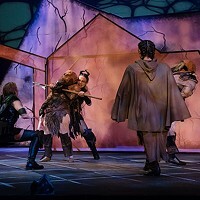 The whole thing takes place in one room, with a multi-leveled backdrop used for a series of flashbacks throughout the play. There’s a chair, a table, a bottle of brandy and some books, but the stage mostly looks like a stage. And it’s a clever move, especially if your most recent encounter with the character is the TV show or Guy Ritchie’s frantic film series. 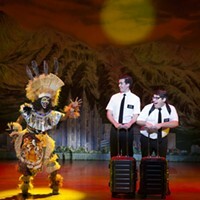 The minimal, practical stage setting is a welcome innovation. It makes the twists all the more engaging, because there’s so little to hide behind. Lastly, at the risk of upsetting Mr. Hatcher, just one last spoiler: The production includes at least one Inverness cape.